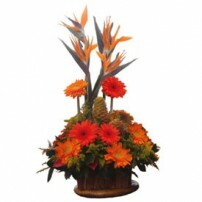 This gorgeous arrangement with will create a moment your recipient will always remember! 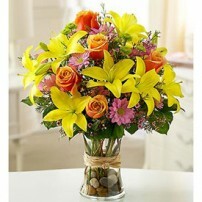 This fresh flower arrangement made of a mix of bright bold colors is great to send your warmest birthday, congratulations, or get well wishes to your friends and family. 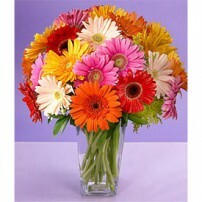 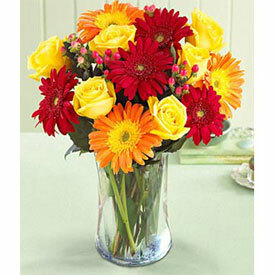 Arrangement composed by lilies, daisies, gerbera daisies, and carnations with ornamental foliage in glass vase.